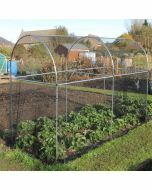 Our high quality, heavy duty bird netting is brilliant for laying directly over your fruit and vegetables or covering fruit cages. It will protect against birds without harming them. 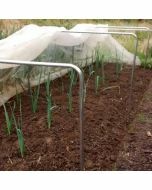 The bird netting has 20mm x 20mm, diamond mesh will deter unwanted visitors whilst allowing the bees through to pollinate. Made from high tensile strength, UV stabilised, doublestitch HDPE, our bird netting is soft to the touch and will last for many years. 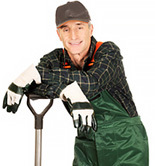 Can be laid directly on the fruit or vegetable crops or over garden hoops and cages. 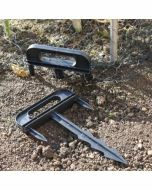 Ideal for covering fruit cages. Lay directly over the crop or over hoops and cages. 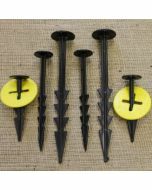 Ensure enough slack for the crops to grow, bury the ends and secure with pegs. HDPE (High Density Polyethylene) Monofilament netting (37gr/m2 ). High Tensile Strength. UV stablised and rot proof. Need help with your netting size? 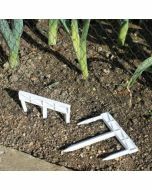 Put the height of the cage, tunnel or vegetable plot (crop height for plots) then the width and the length, then just hit calculate.